Yesterday the Billboard Music Awards 2014 took place in Las Vegas, and I have to say I'm kind of disappointed in the celeb clan. Some big names like Beyonce, Britney and Rihanna decided to skip the event and the ones that were there didn't care to think out of the box and surprise us with their creativity! Normally I do a Best Dressed list after an event like this, but because there was so little to choose from I decided to go for a Best Beauty Looks list! Luckily there were still pretty hair and makeup at the Billboard Awards thanks to the glam squads! The Modern Family actress went for flawless skin and natural tones. I love her lighter locks and the way she styled it to the side. Can you believe she's already 23? She looks 18! 'Miss Jenny from the block' is rarely seen with bad makeup or hair, but well she probably has the best and most expensive glam squad in Hollywood too... I saw a comparison between this pic and the one in the green Versace dress at the Grammys in 2000, and the singer has barely aged a wrinkle! It's unbelievable. Kendall might messed up her on stage introduction to the boyband 5 Seconds of Summer, but she didn't mess up the makeup part! Kendall went for straight hair and smokey eyes, and is clearly following big sis Kim K.'s makeup tips. Don't you think she's starting to look like her more and more? That big smile makes every makeup look pretty right? 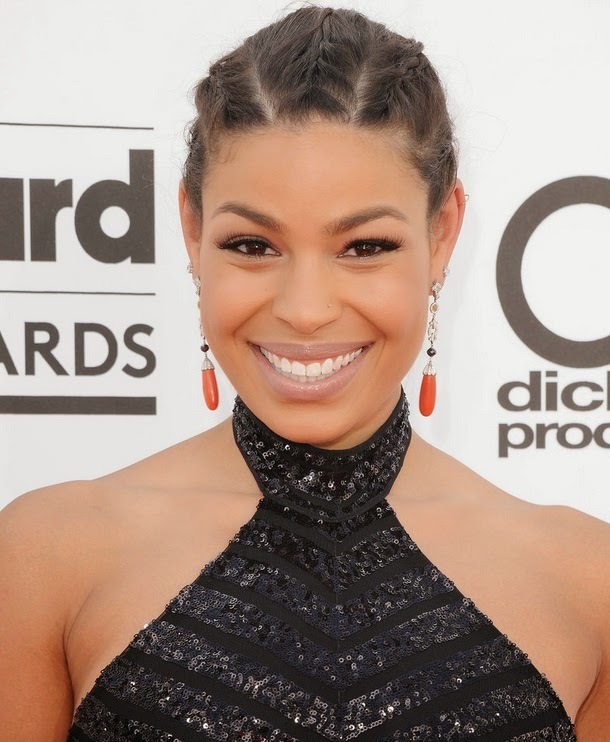 Jordin went for a playful style, choosing a fun braided hairstyle and added some colorful earrings. What was your favorite beauty look of the night? And were you a bit disappointed in creativity of the fashion choices?